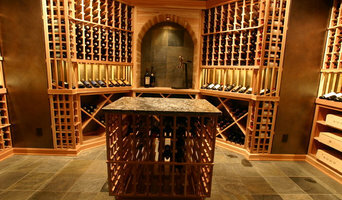 We design, fabricate and build the finest wine cellars. We will build out the whole room or just the racking-whatever the client prefers. Your Cleveland, OH wine cellar professional also will oversee the preparation of the target space (moisture barriers, ventilation and so forth) as well as the construction process. Wine cellar builders select and install the necessary equipment and surfaces, from racks and cabinetry to flooring and lighting, and often handle special security systems to protect a homeowner’s collection.